My name is Julius Magembe from Uganda I am 29 years old married male.I have just finished my bachelors degree in international business this year. 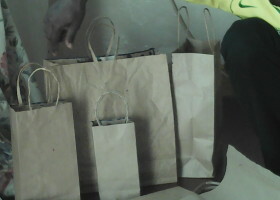 I have an idea of opening up a paper bag project this year.this project have a believe that it is going to improve people’s lives and standard of living and will also develop many youth talents. Currently I run a small business that produces juice shampoo liquid soap and vascilin in this project I head the marketing department.